The discovery of 1284 new exoplanets made by the Kepler space observatory was confirmed by open source software. Kepler is producing so many exoplanet candidates that astronomers have a hard time confirming them all. How could so many candidates be confirmed in one batch? With new open source software, VESPA, written by Timothy D. Morton. Now we know of more than 3,400 exoplanets. Supercomputers are used to simulate the universe from Big Bang to present day. 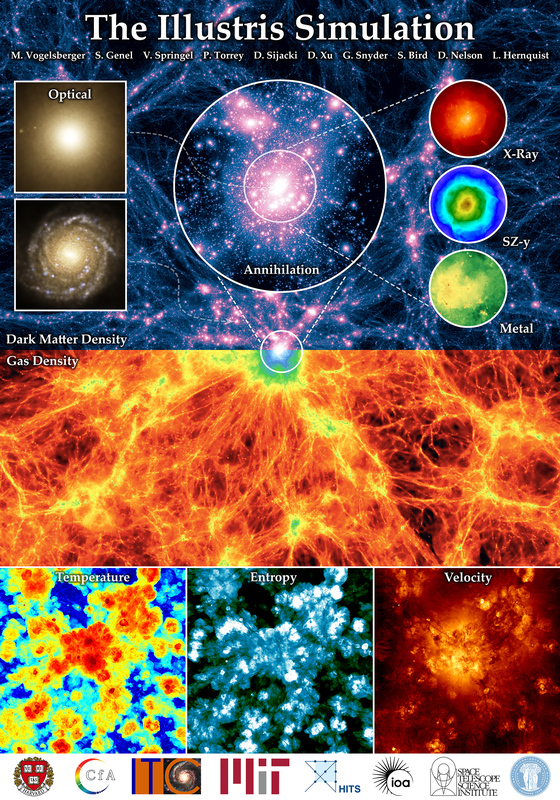 The Illustris Project is the biggest virtual universe yet. It took years to program it and the system was completed in 2014. Data from the project was released in 2015. Data from the simulation is now compared to real life observations. Because pictures are sometimes worth more than a thousand words infographics is a great way to share information. I found two collections of high quality infographics suitable for just any classroom or home. Found almost the same here (with a hight resolution link) where Sean McNaughton, Samuel Velasco, 5W Infographics, Matthew Twombly, Jane Vessels, NGM staff and Amanda Hobbs were credited.